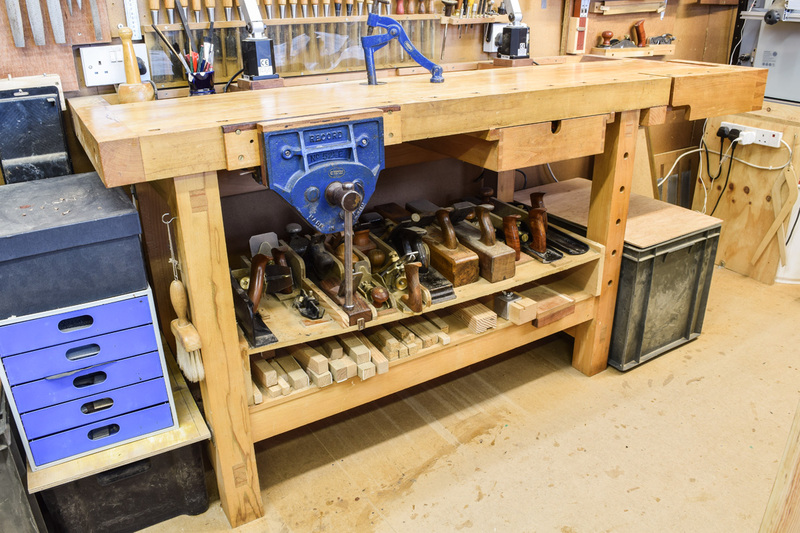 Any talk amongst craftspeople about tools will almost inevitably degenerate into a complex discussion about dozens of different tools and very often the one item which is essential above all others is more or less completely overlooked: the workbench. Whatever sort of work is done, be it fine jewellery to fine woodwork, the requirements are much the same; a flat, stable and solid surface where components are made and projects assembled. There are currently several worthwhile tomes including, amongst others, The Workbench Book by Scott Landis, with a some invaluable insights by Chris Schwarz in The Anarchist’s Tool Chest and much of his reasoning coincides with mine. There’s also a vast amount of information online which is well worth pursuing. Back in the late 70s when I was at Shoreditch Teacher Training College at Runnymede, the complete workshop block (now sadly demolished) was equipped with Emir workbenches for metalwork, woodwork and jewellery. In particular, all the woodwork ‘shops used this model of Cabinet Maker’s bench, which is still in production. The benches had been used and seriously abused by generations of would-be craft teachers to such an extent that the frames and tops were nearly black with age, encrusted with layers of dried glue and appeared as if they’d been enthusiastically flayed by a student fresh from the bar wielding a length of anchor chain. Yet, they still worked (for the most part) and were instrumental in turning out some very good pieces of work. The principal requirement is mass… lots of it, as workbenches are meant to take punishment in spades. In practice, this means that the legs and top should be made from stuff which is as thick as possible; 75 or even 100mm thick is desirable. The top should be a constant thickness all the way across; a thinner top is often disguised by the addition of a thicker front apron. A lightweight, spindly underframe has the potential to wrack and twist under even under moderate loads whereas a heavy, solid framework will resist those forces far better. The frame is usually screwed directly to the massive top to resist the possibility of wracking, but it can also be made more rigid if an additional rail is added at the rear. Schwartz notes that once the weight of the bench gets to around 135kg, it’s not going anywhere fast unless you want it to! Coupled with the overriding mass is the method of construction. 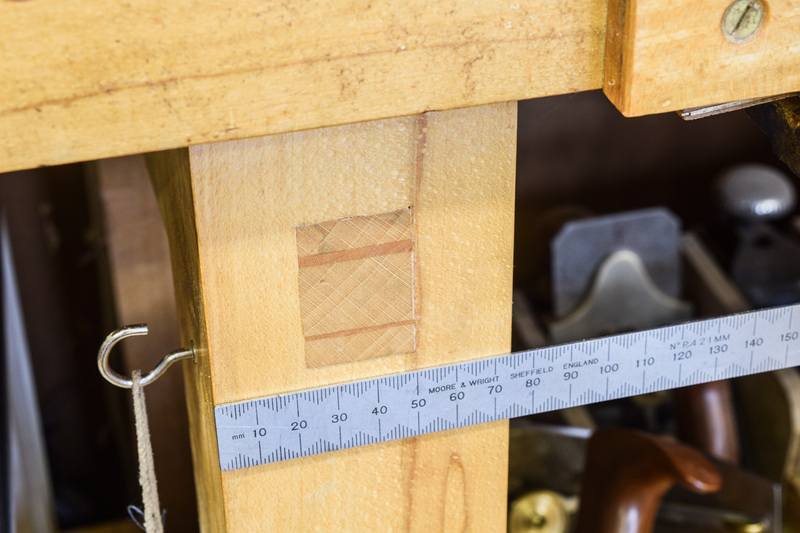 Look for appropriate, heavy duty, wedged or drawbored, through mortise and tenons. Where possible, joints ought to be draw bolted to pull them up should there be a possibility of them working loose. The timber used for a bench isn’t critical as long as it’s stiff and strong. Beech has been plentiful for centuries in Europe and as such has proved to be ideal for workbench construction, though any timber will work well provided it’s not too soft. 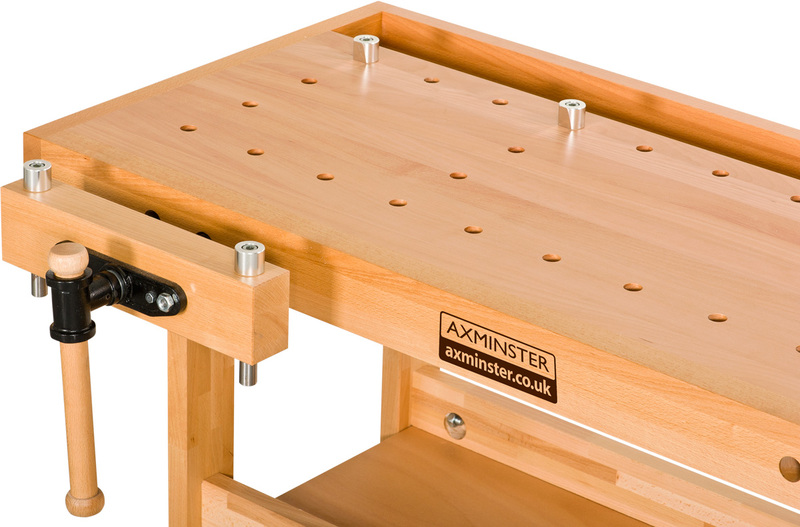 One well known independent maker of workbenches (alas, no longer available) used ash exclusively and anyone fortunate enough to own one can count themselves as extremely lucky. 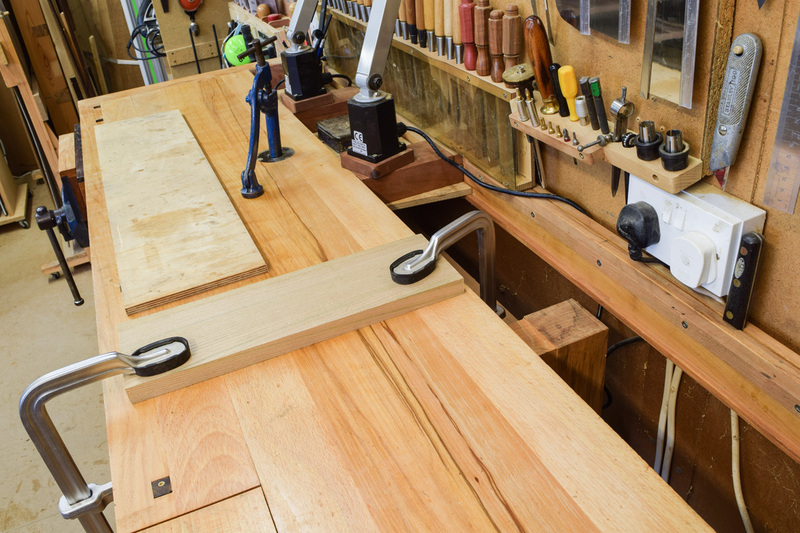 My own bench is based on the Emir Cabinet Maker’s bench; a tried and trusted design that’s been around for decades and having found that it works and works extremely well, I saw no point it trying to reinvent the wheel. 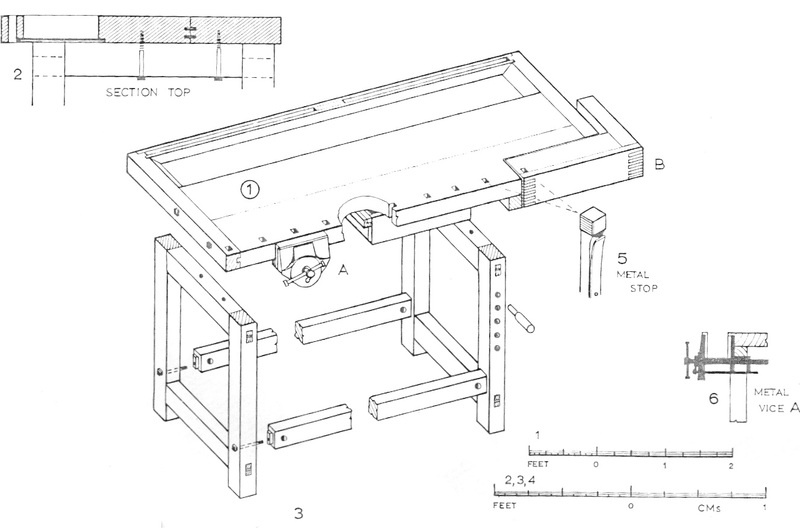 I used a plan, shown in the image, from the first edition of The Techniques of Furniture Making by Ernest Joyce and with the inclusion of the additional rail at the rear of the framework, that is exactly what I made. Size is also critical. Look for one that is as long as possible (commensurate with the workshop and the type of work undertaken, though the minimum length ought to be around 1.3m ) with a total width of about 600mm. 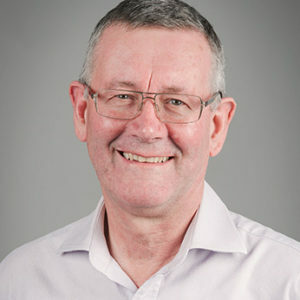 The height of the bench is dependent on the user; there are no hard and fast rules as some like a low bench and others prefer something much higher. 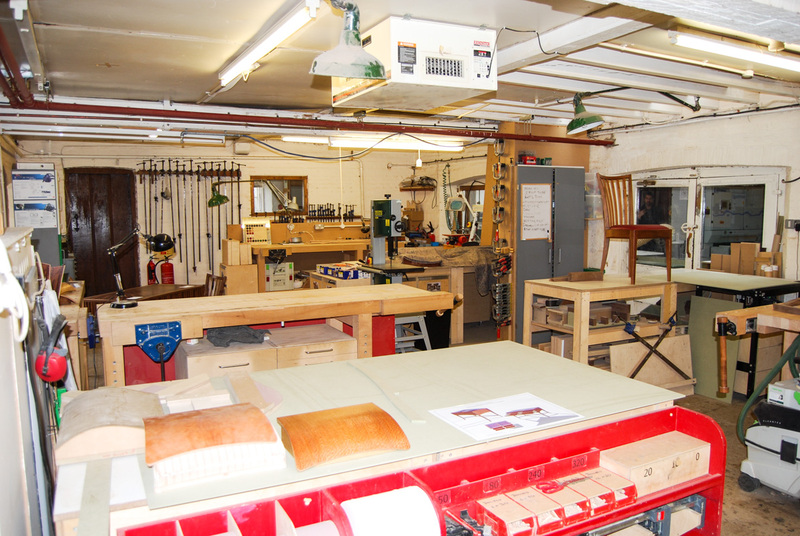 Although they can’t be seen clearly from the pic, the benches in the Edward Barnsley workshop have been raised by placing them on wooden blocks. Some idea can be gained by comparing the height of the benches to the finished desk at the back of the image. I’m fairly tall and my own bench is 880mm high which suits me but if I wanted it higher it’s a simple matter to position some blocks under each leg. What’s not quite so entertaining is to buy a bench that’s too high and then have to cut something off the legs; no fun whatsoever in 75mm thick beech. The bench is also a three dimensional clamping surface and anything that obstructs this very basic function can make life very difficult on occasions. Two examples come to mind, the first being a deep front apron, where it becomes extremely tiresome to attempt to use a clamp anywhere else except onto the apron. 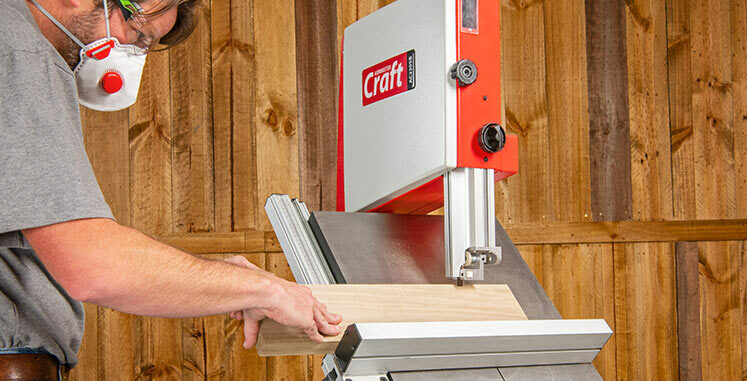 The second is when cupboards are installed underneath, which may interrupt certain workholding tasks. I found that, as in the plan, a single removable drawer underneath is quite sufficient to store all the clutter and detritus that normally accumulates. The bench well is a contentious issue for many. 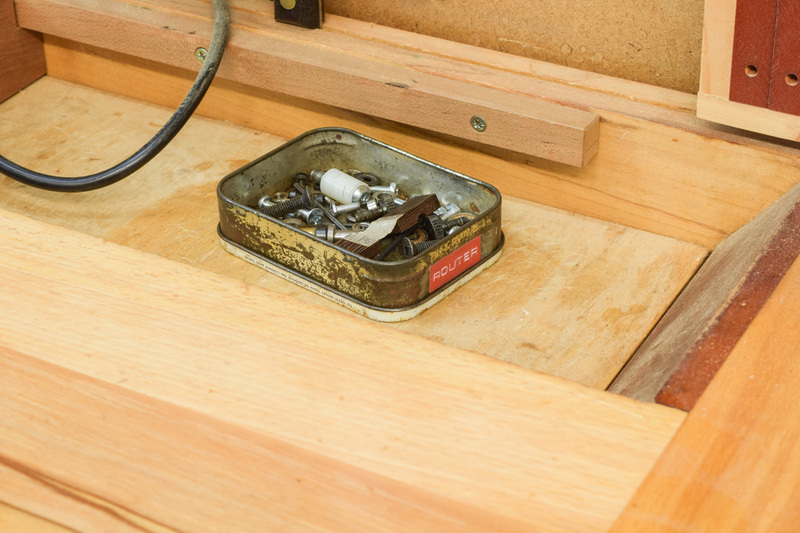 It’s primary task is to hold tools currently in use, but it’s also invaluable for keeping small items out of harm’s way, especially if they’re kept in an old tobacco tin. Anyone who’s dropped a tiny component on a shaving and debris strewn workshop floor will appreciate the difficulty in locating it again! 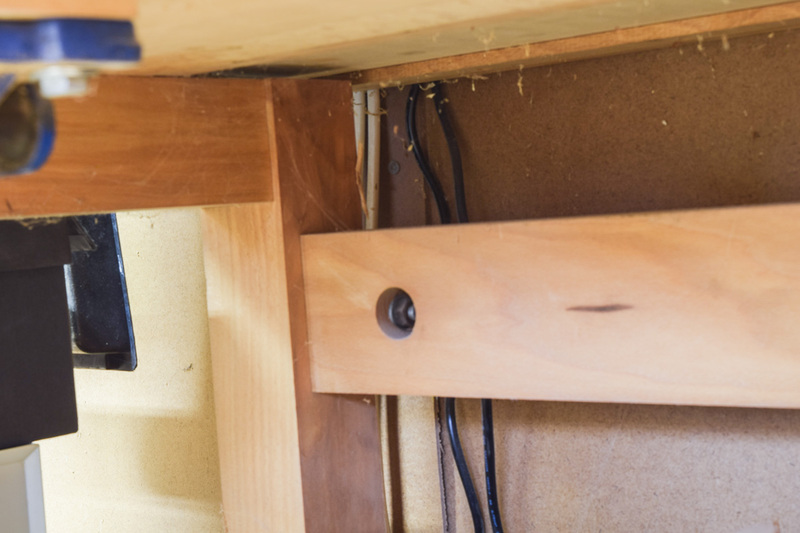 The other advantage of a bench well which isn’t immediately apparent is that it’s easy to make the bottom removable, which means that it becomes a simple matter to clamp something from both sides of the top. 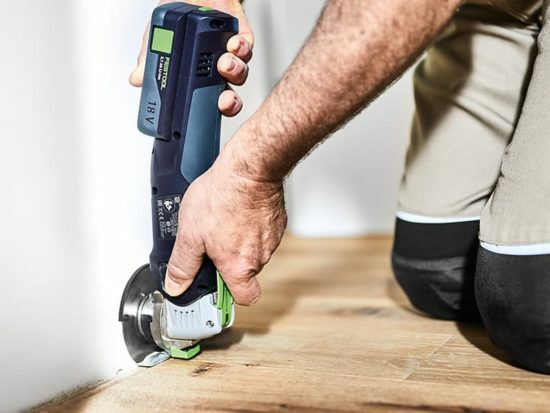 There’s a huge array of differing ways of installing a vice, which is beyond the scope of this article, suffice to say that a right-handed worker should have some sort of vice on the left-hand side. 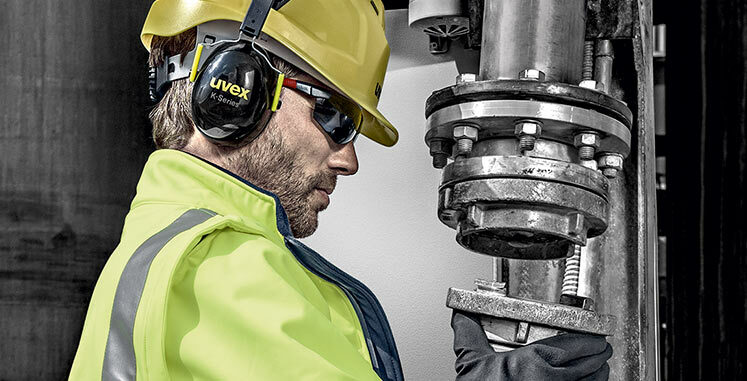 The Axminster Trade Vices range of vice screws ought to provide plenty of different options. I use the traditional Quick Release Carpenter’s Vice and build an ‘L’ vice on the right-hand side using a Tail Vice Screw. 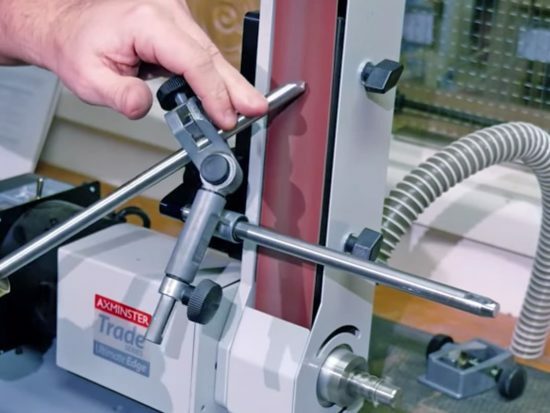 There are several variations, but whatever is chosen, an end vice is desirable as it allows a system of holes and ‘dogs’ to be used, which is invaluable for holding work on the bench top. The final thing to look for is the finish. 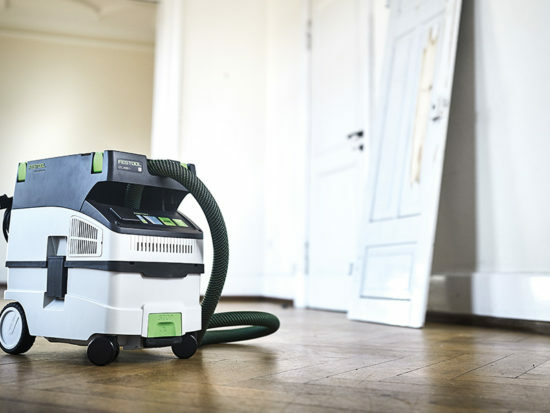 Keep it simple and choose a finish which is easy to apply or reapply when necessary; I’ve found that Boiled Linseed Oil or Liberon Finishing Oil is fine, but I also apply a coat of wax to provide an adhesive resistant surface, so that blobs of dry glue can be removed quite easily with a piece of scrap wood. Whether you choose to make one (as I did) or purchase something ready made, a really robust bench will enhance your skills and make the constructional tasks that much easier.